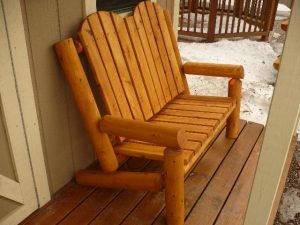 This white cedar log bench features a curved back for comfort. Stain is included. 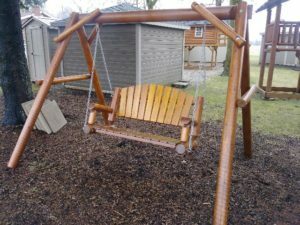 Log garden swings are constructed with solid, white cedar log construction. Includes A-frame, chain & 4' swing.